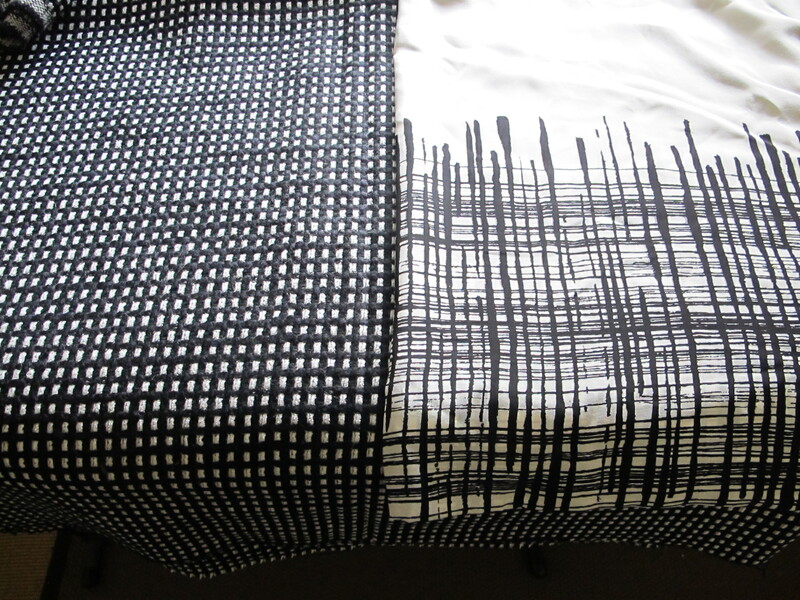 Now the black and white fabric on the left is the one up for offer here, but as I was assembling fabrics today in readiness for posting, it plonked down near the white with black cross-hatch print silk (a fabric from M00d a few years ago) and I thought the match was brilliant! Either as a lining for a jacket, or as a top to go underneath a jacket. I have to measure the white/black silk etc, but if you might be interested in this combo, let me know in the email and I’ll assemble more information and work out a price. This fabric is a wool blend. I’m afraid I can’t tell you the final composition, but the wool could be mixed with some viscose/rayon or even maybe a bit of cotton. 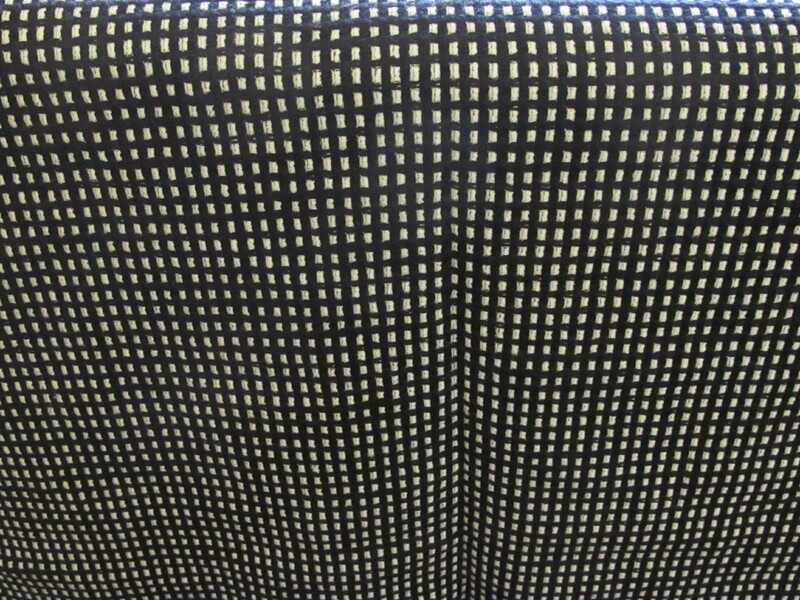 It is a solid woven fabric but it is soft and quite light. With all the assemblages of a French jacket (lining with thread tracing/baste and so on) it will be just perfect…not so thick as to be stiff and too formal. But the weight and fluidity of the fabric will translate really well to tunics, dresses and skirts too. 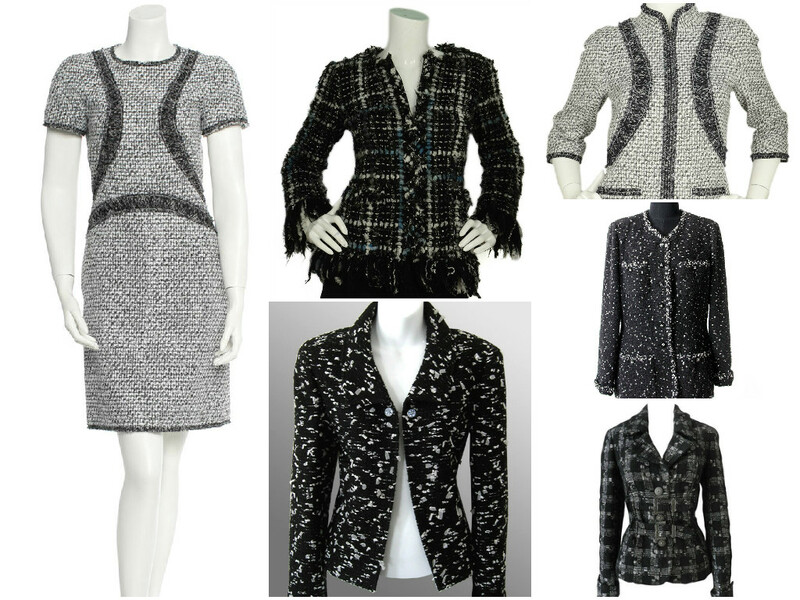 And have you seen this video of the making of the little black jacket by Chanel? I swoon over this like I can’t even begin to describe. 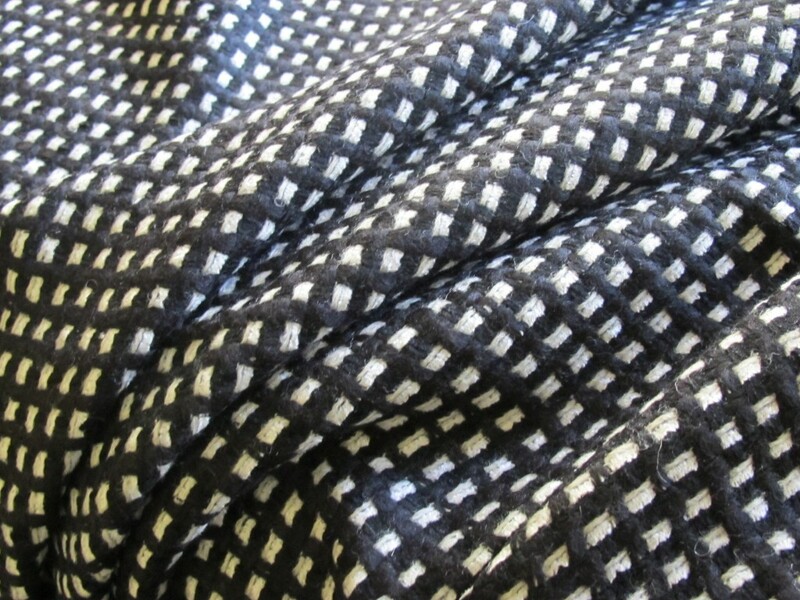 The black and white wool blend fabric is super-wide at 165 cm and the length is 1.6 metres, which is just perfect for a French jacket and because of the width will enable cutting of dresses, tunics, skirts as well. I honestly can’t remember how much I paid for this fabric, somewhere in the high 20’s I think, but I will offer this piece at $22 a metre/$35 for the piece. And do let me know if you’d like some more info on the contrast white/black cross-hatch silk crepe de chine too. I will need to post this in a medium sized satchel at $13.40. Please see here for full details on payment and posting. 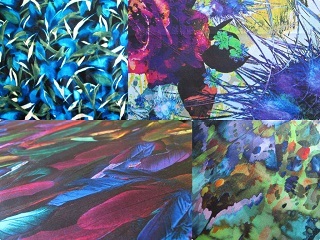 If interested, please click on the email link below; fabric details will appear automatically and I will get back to you asap. (Australia delivery only thanks).